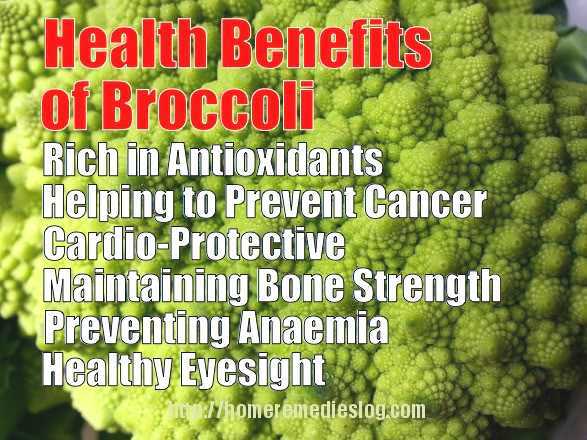 Broccoli is a nutrition powerhouse, packed with nutrients beneficial to general health, as well as having specific protective effects against cancer and heart disease. It belongs to the Brassica family of vegetables, along with cauliflower, cabbage and Brussels sprouts. Broccoli is native to the Mediterranean and is thought to have originated in the 6th century BC from the cultivation of other leafy vegetables. 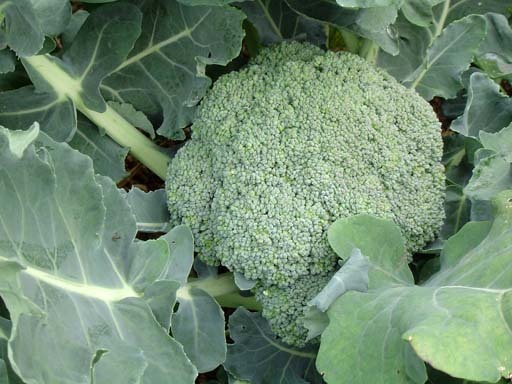 There are two main varieties of broccoli; the most common is Calabrese, with its large green head and wide stalks, while Sprouting broccoli has numerous heads and thinner stalks. Here we look at which vitamins, minerals and phytonutrients provide broccoli with its health-giving benefits. Broccoli is high in Vitamin C and Beta-carotene, as well as containing smaller amounts of Vitamin E and Selenium. These micronutrients are antioxidants, helping to protect the body cells from damage by free radicals, which are generated during processes within the body and as a result of exposure to pollutants. This protection reduces the risk of cancerous cells developing and helps prevent the build up of plaques on the inside of the arteries, which would otherwise cause narrowing and contribute to heart disease. In addition to its antioxidant content, broccoli also contains a number of other substances, which help to protect against cancer. One of these is Indole-3-carbinol, which is converted to Diindolylmethane, which aids DNA repair and prevents the growth of cancerous cells. Another is Glucoraphanin, which forms Sulforaphane when processed by the body, which has anti-cancer properties; Sulforaphane is currently in use in clinical trials for the treatment of prostate cancer. Broccoli is rich in Folate, one of the B vitamins, which is not only essential for the development of the foetus during the early stages of pregnancy, but is thought to play a role in preventing heart disease. Folate helps to keep levels of Homocysteine low, high levels of which have been linked to an increased risk of cardiovascular disease. Potassium is also abundant in broccoli and helps to counteract the effect of sodium in salt, lowering blood pressure, therefore preventing damage to the heart. Broccoli is a source of various vitamins and minerals, which play a role in maintaining the strength of bones, helping to prevent osteoporosis, which affects half of older women and a quarter of older men. Calcium is the mineral most commonly associated with bone health, helping to provide strength and rigidity to its structure, and is present in small, but useful amounts in green vegetables such as broccoli; this source is useful for anyone who avoids or eats little dairy produce. Magnesium meanwhile is essential for the body to process calcium and for the production of Vitamin D, another bone-friendly nutrient. Potassium helps to prevent calcium losses from the body, while Vitamin K is needed for the production of one of the proteins present in bone. Lastly Vitamin C is needed for collagen formation, which accounts for more than 90% of the tissue in bone. A lack of Iron can result in anaemia, which brings with it tiredness, breathlessness and poor growth in children. 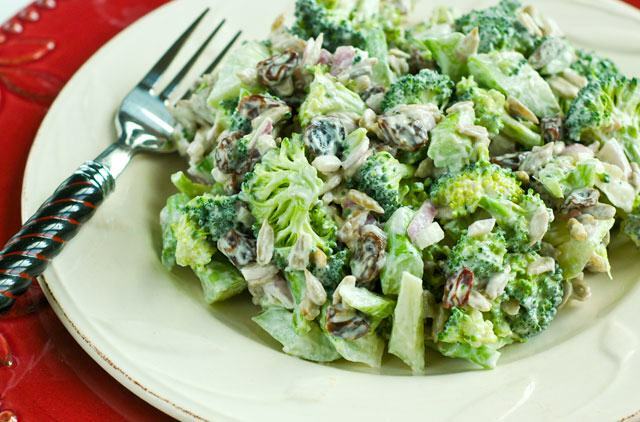 Although Iron rich foods are usually considered to be those from animal sources, broccoli also contains small amounts. Iron from plant sources is not so easily absorbed by the body, but this is helped by the presence of Vitamin C and avoiding tea and coffee with meals, which otherwise inhibit absorption. Beta-carotene and a related vitamin called Lutein play an important role in vision. Beta-carotene is converted in the body to Vitamin A, which is found in the rods in the retina at the back of the eye and is needed for vision in low light. Lutein is also found in the retina and prevents damage to their cells from blue light; a good intake has been associated with a reduced risk of cataracts and macular degeneration, two diseases of the eye common in older age. Boiling broccoli reduces its Vitamin C, Folate and Glucoraphanin content; just 5 minutes boiling can reduce it by as much as 30%. However, steaming, stir-frying and microwaving have little impact on broccoli’s nutrient content, so represent a better option when cooking this nutritious vegetable. Anyone taking Warfarin, the blood thinning medication, used to reduce the risk of heart attack and stroke, should limit their broccoli consumption. This is because broccoli is rich in Vitamin K, which aids blood clotting, so works against the action of Warfarin. However, this does not mean that broccoli and the other green leafy vegetables high in this vitamin need to be avoided; the important thing is to eat a consistent serving size and not have excessive portions. Health information supplied by Luxury Medical.